the defense department of the Communist Party, the day after the attack at the headquarters of the LSR, and seeing the violent response of the government and the fascist paramilitary forces, it has communicated to the television of the republic, the creation of a professional military corps that encompasses all the militias that have been formed in recent days. Sandra Uribe, secretary of the department has confirmed the rumors: for the moment we have about 3,000 members of the army. This army will be managed at the same time by a committee of anti-fascist militias. Although the militias have not been able to enter the capital of the nation, they have been occupying the main weapons factories by organizing surprise attacks. The popular army, after a week of fighting, went to the north, to Caille, where, along with the troops of the Socialist party, they entered the capital of the region, Norterra, and,With a strong resistance both from the autonomous police and the Republican guard, they have been held for hours but in the end they have been able to cross the streets to the center of the city they occupied the autonomous parliament, which hardly It was celebrating a plenary session. There, after murdering several deputies, among them the representative of the league in Caille, they made the following statement: seeing how the fascist forces have been oppressing the Cailleà people, we, in the name of the working class, proclaim the Socialist Republic of Caille as a member of the union of socialist republics of Egelion, inspired by the former UKSR. We make a claim to the whole communist movement of Keris. Now is the time, workers join us against imperialism! Glory to the party and glory to the URSE. With government weakness due to constant attacks, constant tension and a hypothetical military alliance with the confederation of new Endralon the future is uncertain. The battle of Norterra has entailed serious casualties by the autonomous police, since many police stations have been attacked. Finally, after 48 hours, the army has sent a division of special forces and defeated the PCE militias. more than half have been executed by direct order and about 234 survivors have fled to the mountains that surround the city. Last edited by MarcGM on Sat Apr 14, 2018 10:15 pm, edited 2 times in total. ooc: Chaps, no more posts until we have agreed the framework. The Republican Party of the Republic of Telamon. The below are snippets of extract from news articles publish in Egelion over the last 12 months. 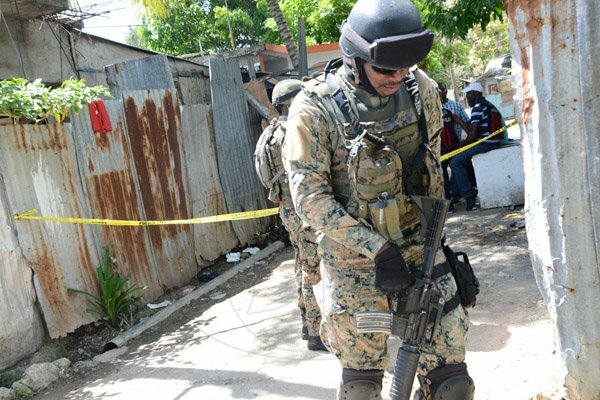 Following the left-wing terrorist attack carried out in the capital Demar Solad, the government has declared a state of emergency. The declaration comes into effect immediately and the Head of Government Nicolás Encarnación has given no indication of a time line stating that “the threat must be dealth with and the government cannot limit its options…the state of emergency will be open ended until the terrorists have been defeated”. Amongst other measures the state of emergency allows the national government to impose curfews, allows the military to provide support to the police and allows the police to disperse crowds. During the Congressional vote both government parties voted yes, while the two left-wing opposition parties stayed away from Congress. It has yet to be seen whether this is because of intimidation from the government, or through support for violent left-wing groups operating in Egelion. Congress has voted to increase security cooperation with the neighbouring Confederation of New Endralon. The proposals put forward by the Defence, Interior and Foreign Ministries authorises increased intelligence sharing and allows for the possibility of Egelion and Confederation security forces to work together in patrolling the border between the two nations as well as to conduct joint operations against terrorist cells. This follows hard on the heels of legislation that has authorised military support to the police which has seen military activity across Egelion as the armed forces join in counter-terrorist operations. As well as join patrolling with the police, the army and marines have been involved in operations designed to pacify restless areas where terrorists have known support, particularly in areas of current and historic Communist electoral strength. With the continuing unrest in Egelion the government has authorised the creation of an exp0licity pro-government paramilitary force, the Civil Guard. 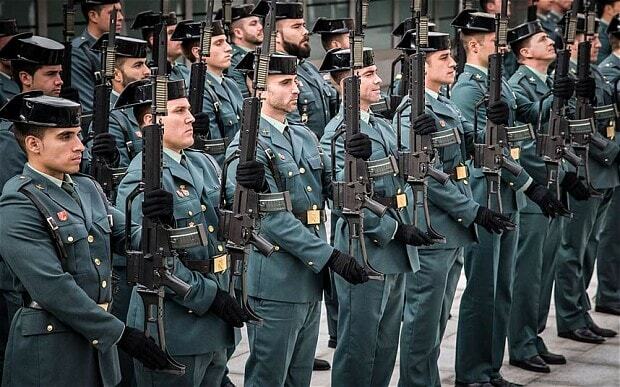 The Interior Ministry has not yet confirmed how strong the Civil Guard will be, but they have announced that the Civil Guard with be armed with small arms weapon systems and will be used to protect key government, transport, infrastructure and economic facilities that are at threat from terrorist activity, freeing the police and armed forces to engage in other counter-terrorist operations. Opposition parties have condemned the formation of the Civil Guard which they argue will lead to a politicisation of violence across Egelion as weapons are put into the hands of “right-wing thugs”. The opposition have also condemned the wording of the bill which specifically prohibits the opposition from forming their own legal paramilitaries. A second update with snippets of information from across Egelion in the last 12 months. Violence has continued to increase in Egelion through the summer of 4378. Communist terrorists have conducted many attacks throughout the country causing dozens of deaths and millions in damage. In the countryside armed leftist “bandits” have engaged in firefights against both the police and the armed forces in a situation that is beginning to represent a conventional conflict rather than a break down in law and order. The police have been increasingly armed with military weapons, with a number of police units looking more like soldiers than the traditional Egelion policeman. Additionally the paramilitary Civil Guard have been supporting the police and military in offensive activity, rather than protection of key sites which was the original role of the Civil Guard. Casualty numbers have slowly crept up with hundreds reported killed in fighting in the last six months between pro-government forces and opposition groups. Mass incarceration of individuals accused of links with Communist terrorists have occurred. Some universities, factories, mines and Trade Union offices have been seriously depleted of staff as police sweeps have arrested thousands of people across the country leading to a severe shortage of space in Egelions prisons. Students have been arrested at protests and striking workers have also been arrested. Worrying a number of activists have been killed by the security forces “while resisting arrest” or following attempt to “escape from custody”. The verdict is in and following the restoration of capital punishment in Egelion, 11 defendants accused of involvement in the September 4378 terrorist atrocity have been convicted and sentenced to death. This has caused concerns amongst some lawyers as the crime was committed prior to the reintroduction of the death penalty but the very right-wing Minister of Justice Constanza de la Cavallería has ensured that the punishment can apply retrospectively. Since capital punishment was reintroduced a number of criminals have been executed for murder, and there are dozens more “terrorists” currently on trial accused of murder who may well also be executed if found guilty. The Athiest Socialist Party (PSA) has been banned following the fall out of the trial and prosecution of the terrorists involved in the September 77 terrorist attack. The PSA had 13 seats in the National Congress and although only one member of Congress had been implicated in the evidence presented to the courts, the Supreme Court took the decision to formally ban the PSA, denying it public funds, precenting its members from sitting in Congress and outlawing continued use of the name. 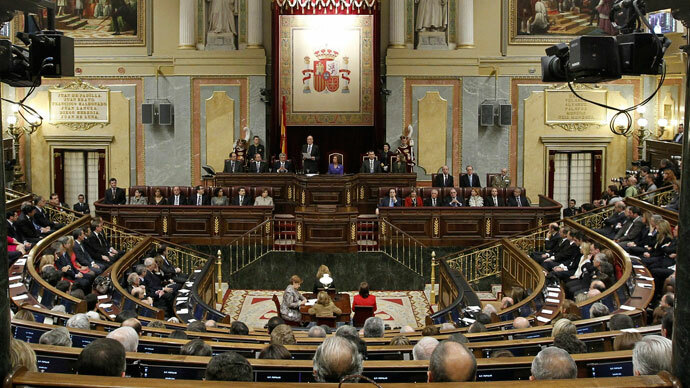 The Minister of Justice Constanza de la Cavallería, a hardliner and potential future Liga leadership candidate, has announced a tough new raft of measures that the Liga will put to vote in Congress. The Anti-Terrorism Proposals follow on from other legislation that has been implemented since the start of the State of Emergency proposes that the police are fully militarised, provide the police with extra measures to catch criminals and maintain security on the streets, that corporal punishment is introduced as a punishment to deal with overcrowding in prisons following the crackdown on suspected terrorists, ID cards are introduced on a compulsory basis and finally that “harsh” measures are legalised to allow the extraction of vital information. The Liga have proposed corporal punishment as a solution to overcrowding in prisons following the mass arrests of leftists through 4379. Members of the control patrols. 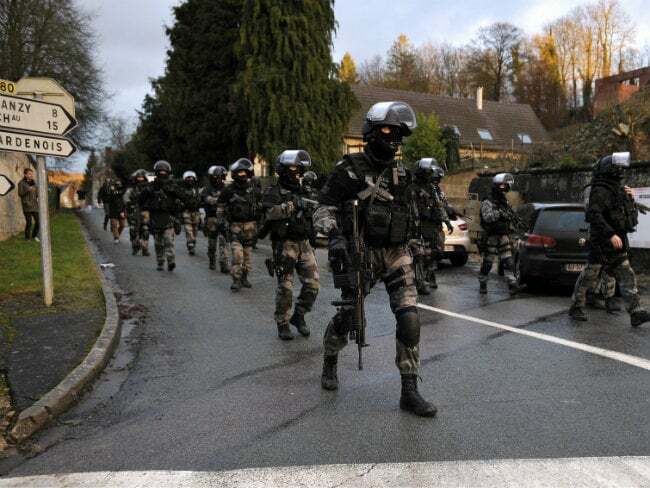 After the defeat of the popular army in Caille, and the consequent execution of the main generals by the government, the defense department of the PCE decreed the dissolution of the CMA (anti-fascist militia committee) and center the war efforts in a organization of control patrols. according to Carla Flor, the president of the department, this new body will be specialized in maintaining under communist control the areas that have not been lost and systematically eliminate all the resistance of the right, mainly militants of the Alliance of the regions and of the league . the PCE has written a statement explaining that the patrols, so that they do not end up disassembled, will be transferred to a police commissioner. Esteban Casas, Secretary General of the Communist Party, has made a national message where he proposes to stop the fire in a timely manner: "We have almost 3 years of armed conflict, and both sides have suffered human and material losses. However, let's say two things: first. we are not intimidated. If the government does not want to stop the fire we have enough capacity to continue fighting. And second, the current capitalist state is not complying with democracy and the treaties of the world congress. We demand the release of all prisoners of war without charge and also that the government is at the negotiating table. the PCE also called on all the social and revolutionary movements of the country that did not give in to the pressure of the Civil Guard and the fascist government: "they have the argument of the force and we are the popular unit. Glory to the party and to the Republic! We will win! This network has received details of a classified brief given by General Afonso de Alemida, Marine 4* General and Head of the Egelion Armed Forces. In the brief the General freely admitted that the “situation on the ground is worse than officially acknowledged”, that there “areas of the country we have no control over” and that there are areas in which “government control does not extend beyond the range of a rifle”. The General briefed off a large-scale map which is represented below. He highlighted that the government had secure control over Yadráz (historic Ghadrash) and most of coastal areas and the countryside in the east and south of the country. However the north and the west of the country had significant areas under full Communist control and the military were having to fight hard to keep the centre of the country, especially to the west of the capital Demar Solad. An overview of Communist activity. The red star indicates cities where Communists have regular attacks on Government forces. Areas in red are under full Communist control with parallel Government , areas in yellow are contested between Communist and Government forces, all other areas are nominally under government control. The General indicated that fighting was different in most cities compared to the countryside. In the city’s urban terrorism was the primary threat and this was left to the Police and Special Police Task Groups, except in northern city of Norterra and the mining city of Mediodmonte where the Government and Communists were actively contesting control of the two cities. However, in the countryside, suburbs, rivers and mountains of Amateria, Caille and Edergira the Navy, Army, Marines and Air Force were fighting a counter-insurgency. He added that the insurgents weren’t just planting roadside bombs but were engaging in battalion sized formations in some areas and were providing civil government in parts of the three regions. The General urged the government to spend more money on the defence, interior and justice ministries, investing more in armoured vehicles and helicopters that would provide greater flexibility and freedom of movement to deploy force against the Communists. Greater effort had to be put into securing the border with the Confederation of New Endralon and ensuring that the Navy could prevent smuggling in coastal areas. He praised the role of the Civil Guard in supporting the armed forces, although distanced the Marines specifically from the interrogation tactics used by the Police and Civil Guard against captured insurgents. While it has been clear to most people in Egelion that the country is now in a state of civil war, it is the first time that a senior officer in the armed forces has admitted as much. Clearly the military has been unable to defeat the Communists insurgency, although it is worth noting that most cities remain fully under government control, despite terrorist attacks. Backbench Congressman Edmundo Nores was expelled from the Liga after calling for a negotiated settlement with the opposition Communists. Nores stated that “after two and a half years of fighting, with an estimated 70,000 killed and many more wounded or displaced it was time to consider negotiation”. Nores was roundly condemned by other Liga politicians and even the head of government Nicolás Encarnación stated his disgust at the suggestion which would be “a stab in the back to all our servicemen and woman in their heroic fight against Communist terror”. It was also suggested that Nores, who had been seen as an anti-communist hardliner, had been affected by the loss of his son who was killed earlier in year while serving in the paratroopers in Caille region. Nores will sit as an independent, although it is possible that he will join the Social Democratic Party founded last year by centrist peace activists who seek an end to the conflict in Egelion. Last edited by ReformedEndralon on Mon Apr 23, 2018 12:41 pm, edited 1 time in total. Below are snippets of updates from the last 12 months in Egelion politics. The government parties have submitted a unified list for the forthcoming elections, although standing on the party for the League list in all five regions. The parties have worked together closely for the last four years and fought the terror of the Communist Party. Based on the previous two elections this joint list should retain a majority in Congress, however a number of pro-peace parties have been formed in the last two years committed to ending the violence in Egelion and it is possible that these parties will hold the balance of power. Following a series of local ceasefires, Presidential and Legislative elections have been held across Egelion. Despite four years of civil war, all areas were able to return ballots papers although as expected the Communists did very well in areas under their control, while the government performed well in areas under government control. Unexpectedly the League/Alliance union overall lost 15 seats reduced from 72 to 57 and ensuring that the government lost its majority in Congress. With the Communists taking 39 seats this means that the pro-peace Social Democratic Party and Move On Egelion parties hold the balance of power, securing 24 seats between them. Following the indecisive election results which have left the League in power but with a minority government, the Armed Forces have stepped up offensive activity with the aim of bringing the Communists to the negotiating table. Government forces have initiated offensive activity in all five regions with the aim of securing major urban areas for the government and denying freedom of movement to the various Communist forces. As the casualty figures for the conflict continue to creep up towards 90,000 dead the Social Democrats have put an attempt to negotiate a ceasefire to vote. Although all parties were broadly supportive of the measures to introduce ceasefires, the government have expressed concern that the proposals would reinforce Communist control of certain areas as it does not call upon the Communists to disarm. Congress has voted to continue the Civil War. Following the governments stated intent to continue the fight, the Social Democrats have abstained from their own negotiations and the Move On Egelion pro-peace party have also voted no along with the government. The Civil War that has been going on for nearly six years is set to continue. An urgent meeting of the public order office. An urgent meeting of the PCE's public order office. possible end of hostilities. On the front the fight continues. After two consecutive elections the situation remains the same. In spite of that the information of our informants shows that the losses have already increased to 1,000,000, between died and disappeared. Given the circumstances, the general staff of the Revolutionary People's Army has met with a delegation of the enemy. Although the content of the meeting is a military secret, we can inform you that the results are fruitful to reach a peace treaty. We take the opportunity to apologize to the people who have lost a son, husband or brother because of our fault. From the communist movement we want to inform that our goal is always and will be to protect the interests of the disadvantaged people against the thieves. Our story is a history of suffering. but we will never give up our ideals anymore. And this military rebellion will be repeated again if future governments do not respect basic rights. That said, let's say we are planning to start a siege in the city of Ostrella as the campaign continues. We warn that citizens have 15 days to leave the city.